Word-of-mouth is a valuable form of marketing that provides business owners with the opportunity to leverage technology such as social media to generate buzz around their business. Word-of-mouth is generally thought to be organically created through recommendations from friends and family. However, businesses can drive these kinds of conversations by incorporating word-of-mouth tactics into their marketing strategy. Customers are more likely to trust a third party source than a business’s advertising which is why word-of-mouth is a crucial aspect not to be ignored. 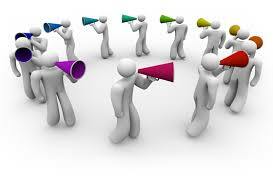 Word-of-mouth is powerful, and can cut through the noise of modern-day marketing quickly and effectively. Influencers are specific key individuals that have the ability to influence your target market. An influencer could be a journalist, blogger, public figure, respected community member, or even a sports star. Influencers can bring many benefits to your business such as drive traffic to your site, increase your social media exposure and attract customers to purchase your products and services through their own recommendations. Establishing a list of your target influencers is a good starting point. Before approaching your influencers take the time to learn about them and why they are influential to your business. Influencers have to be willing to promote your business on their own merit so avoid badgering them with endless calls and emails. Word-of-mouth is accelerated online due to the speed in which messages are shared. Social media plays a large role in providing users with the ability to share your business’s content, post reviews and recommendations and generate brand awareness with the use of hashtags. Online word-of-mouth can dramatically affect your business’s reputation as recommendations and criticisms are openly available to the public. Designating a professional to handle your social media affairs may benefit your business as you can quickly respond to customer feedback, both negative and positive, and monitor customer engagement. Although, online communication is everincreasing, offline communication should not be ignored. Offline conservations are more likely to have an impact as they involve emotion, a key part of the purchase of a product or service. Businesses need to create experiences for customers that are both topical and emotional. Reviews and referrals form a central part of word-of-mouth marketing and can lead to increased credibility. Online reviews may be considered as trustworthy as personal recommendations. Reviews appearing on external sites or your own site, can be a great way of monitoring conversation and developing customer confidence in your products and services. Negative reviews can help your business to identify and fix weaknesses and address customer issues promptly. The way your business responds to negative feedback can provide customers with a good indication of how much you care about customer satisfaction.